Japanese security, intel agencies look to Israel for anti-terror expertise in preparing for 2020 Summer Olympics in Tokyo. Japanese officials preparing for the 2020 Olympic Games in Tokyo are seeking Israeli anti-terror expertise amid a rising tide of global Islamic terrorism. 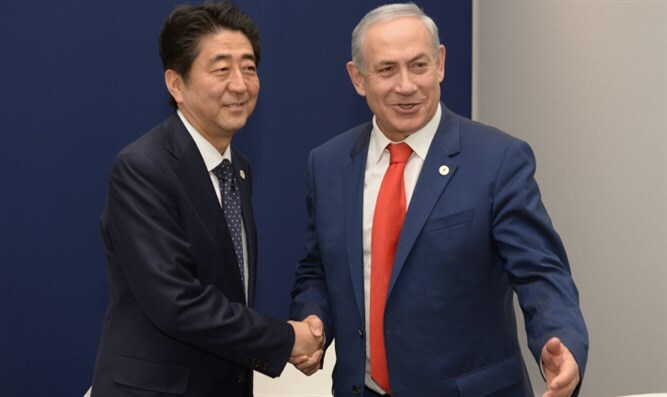 Last week, Israel and Japan announced plans for a memorandum of understanding, laying down the foundation for joint cybersecurity efforts between the two countries ahead of the 2020 Olympics, The Nikkei reported. Japanese officials are also looking to their Israeli counterparts for assistance in preparing for more conventional attacks, particularly terror attacks involving hostage situations and time-critical negotiations. According to a report by the Israel Hayom newspaper, intelligence and security officials from six countries travelled to Israel to meet with members of the Israeli security establishment as part of a recent counter-terror conference hosted by Israel Police focusing on negotiations in the age of global Islamic terrorism – an issue of particular interest to Japanese officials as they prepare for 2020. "The world can learn a great deal from our experience with terrorism," a senior police official told Israel Hayom. "But today there is also a lot we can learn from the rest of the world." Following the 2015 Paris attacks, which included a hostage situation in the Bataclan theater and negotiations with terrorists, the challenge of confronting terrorists in such instances has become a top priority for anti-terror forces around the world. Japanese security forces currently lack Arabic translators for hostage situations or tracking jihadist communications, the Israeli police official noted, saying that Japan’s special police forces had minimal experience dealing with terrorism.